In need of a morning boost, or refreshing way to start your day?! Ditch the bagel and make something that truly FUELS your body to prepare itself for whatever the day holds. My body feels SO much different If I eat my rice cake + peanut butter (every day breakfast aka MY FAVORITE) with a nutrient filled smoothie than JUST eating my rice cake alone. I need fruits + vegetables at every meal to power my body for my workouts and long work days! 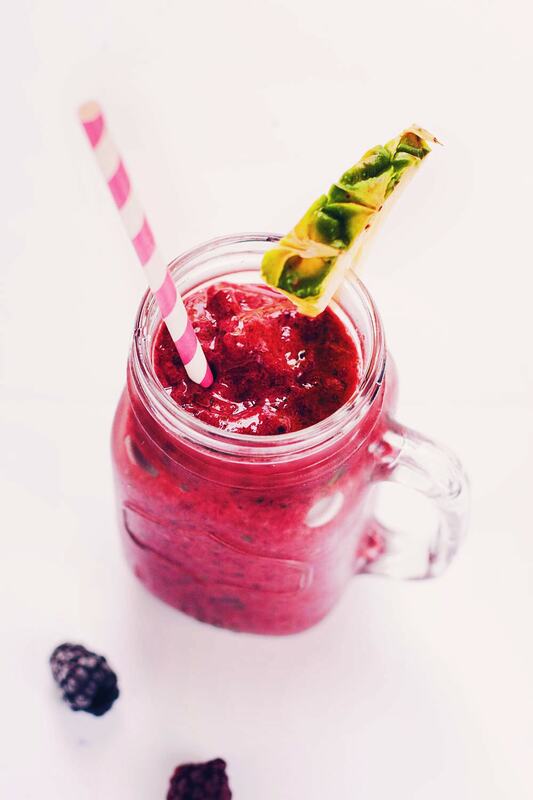 Not to mention this smoothie tastes amazing?!?! This one has FIVE simple ingredients that are loaded with nutritional benefits. 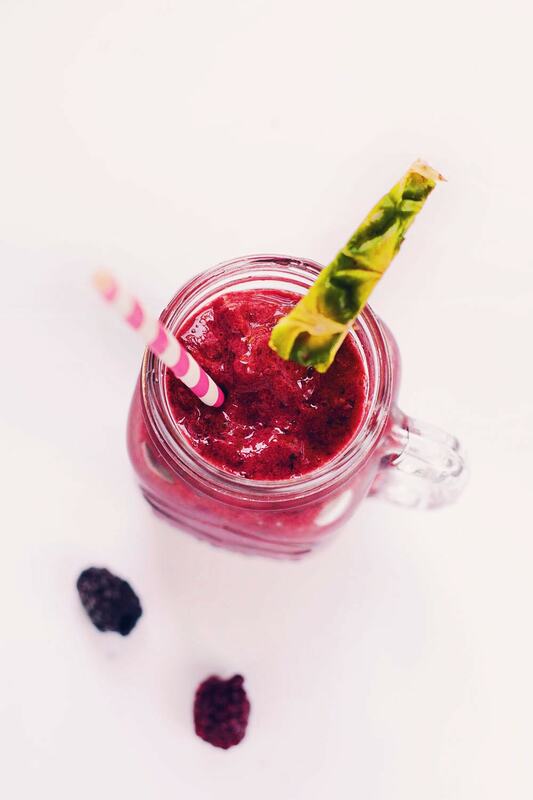 – What I was looking for was a berry loaded with the most antioxidants – BLACKBERRIES. I researched them and found out they have more antioxidants than raspberries, blueberries, ect. COMBINED. Clearly they made the cut. – I was looking for a tropical fruit that was loaded with refreshing juices and a good dose of Vitamin C – PINEAPPLE + fresh squeezed ORANGE juice. – Next on the list I was also looking for a ingredient loaded in protein and zinc (because my mom always tells me I need more zinc..?!) – SPINACH. Hence the dark color of purple! 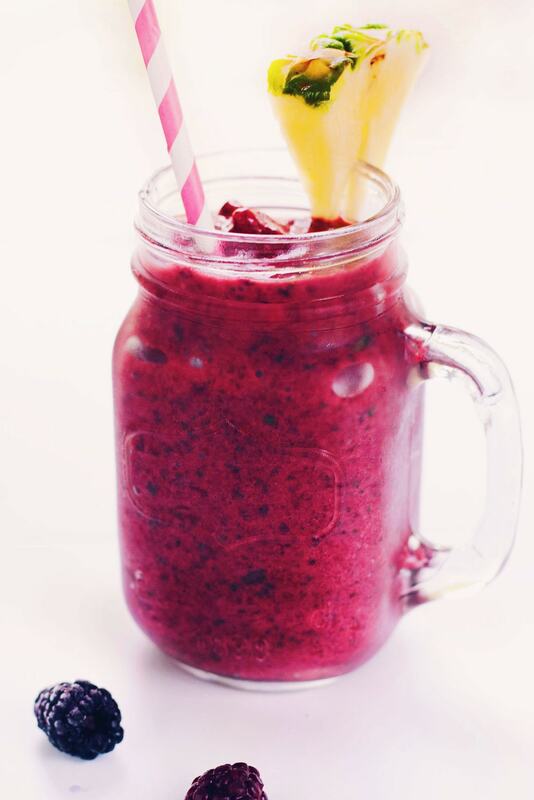 And in my mind, NO smoothie is a smoothie without potassium from a beautiful ripe BANANAAA. Not sure why, but I just cannot do smoothies without havin’ me some banana. 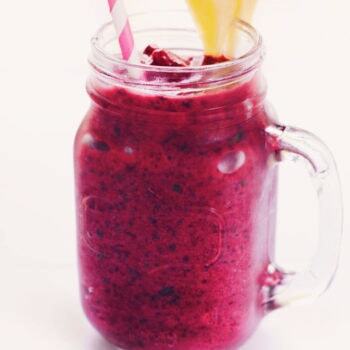 Healthy, nutrient-filled blackberry pineapple smoothie filled with spinach, fruit, and is so yummy! Great for a healthy breakfast or lunch. 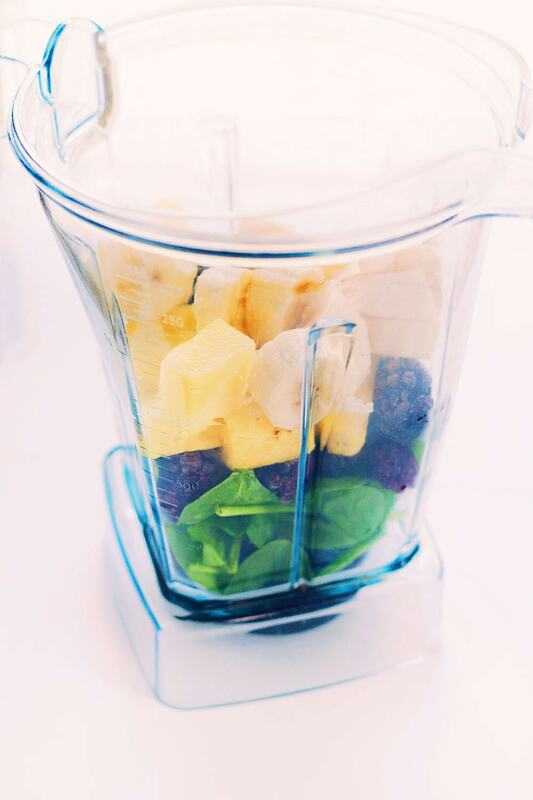 Add any extra fruit or greens to the smoothie if desired.